Airstone bubblers diffuse the air in an aquarium filtration system and break into small bubbles that are easily absorbed by water. The stones will gradually lose their effectiveness as the inside surfaces get clogged over time. Airstones with finer textures (sometimes marketed as "micropore" airstones) will break up the air into smaller bubbles and are more effective at dissolving air into the water, but they are also more susceptible to clogging. By some reports, airstones begin to lose their effectiveness after about six weeks of use, though this varies depending on the mineral content of your water. While most people replace the airstones at regular intervals, it is also possible to save a little money by cleaning and rejuvenating airstones to restore their effectiveness. 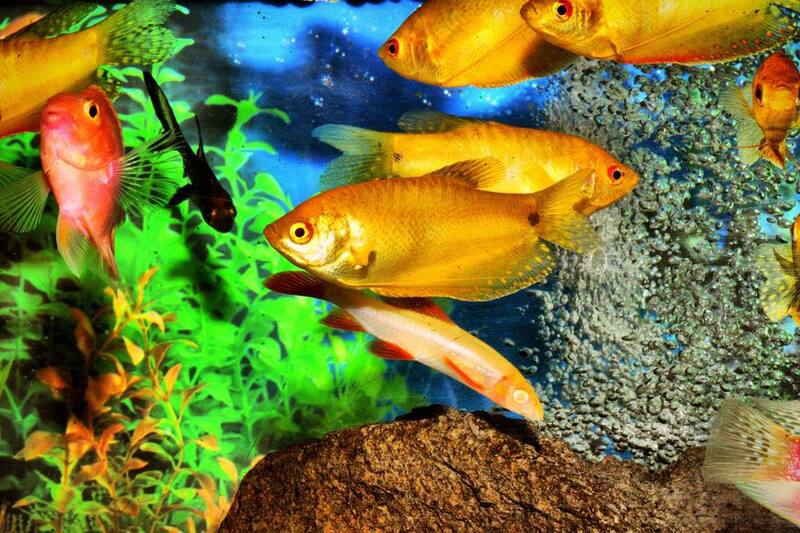 Aquarium owners have experimented with many methods of doing this, but our method is appropriate for any air stone material, wood, ceramic or plastics. Rinse the air stone in fresh water, then lightly scrub off any excess build up off the outside. Allow the airstone to air dry completely. Boil the stone in fresh water for ten minutes, and allow it to air dry again. Soak the airstone in a solution of one part household bleach to three parts fresh water (1:3) for 24 hours. Bleach has the advantage of both cleaning the stone and also disinfecting it. Soak the stone for a full 24 hours, or two days if the stone was badly clogged. Remove the stone from the bleach solution, then attach an airline from an air pump to the stone and place it in a container of fresh water, letting it run for five minutes. This will dilute and remove any residual bleach from the stone. Remove the airstone from the fresh water and continue to let the air pump through the stone for 5 minutes to dry the inside pores. Allow the stone to completely air dry for 24 hours, then store for future use. Soak the stone in hydrogen peroxide overnight, then rinse thoroughly and blow air through the stone until it is completely dry. Boil the stone for five minutes, allow it to cool, then blow air through it until the stone is completely dry. Place the airstone in water and add several denture-cleaning tablets. Let soak overnight, then rinse in clear water and blow air through the stone until dry. Denture-cleaning tablets are a dilute form of sodium hypochlorite bleach and are more convenient to use than liquid bleach. Soak in a water/vinegar solution. This may be especially effective at removing calcium lime deposits clogging your stone if your water has heavy mineral content. Baking an airstone in an oven or microwaving it is probably not a good idea. Plastic hose connections are likely to be melted, and using an oven or microwave is not very effective at cleaning the insides of the stones.